The currently adopted notion of a tolerance in combinatorial optimization is defined referring to an arbitrarily chosen optimal solution, i.e., locally. 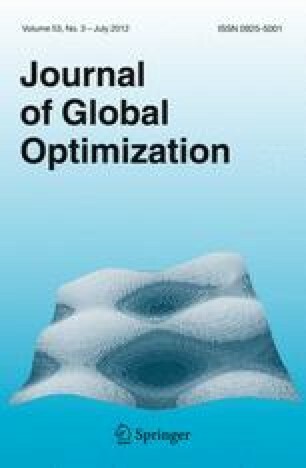 In this paper we introduce global tolerances with respect to the set of all optimal solutions, and show that the assumption of nonembededdness of the set of feasible solutions in the provided relations between the extremal values of upper and lower global tolerances can be relaxed. The equality between globally and locally defined tolerances provides a new criterion for the multiplicity (uniqueness) of the set of optimal solutions to the problem under consideration.